SlotsMagic previously called Jackpot Party is a Casino that is a bit outdated. We do get a lot of questions about SlotsMagic, custumers wonder if the casino is reliable. We can quickly answer that question: yes, SlotsMagic is reliable, we will tell you more in this SlotsMagic Information. The casino offers genuine games and profits are paid to the winners. SlotsMagic has a casino license and their head office is placed in Malta. SlotsMagic offers a lot of games, around 320 slots. SlotsMagic doesn’t offer only the familiar games, but also rare games that you can’t find anywhere. You can find slots from NextGen, Green Valley/GVG, Barcrest, Merkur en Amaya. Do you want to play something different, this is the place to be! Because the website is outdated, it’s hard to find all these rare games, the website isn’t convenient at all. One of our test team members said: ‘My experience is that you have to click and scroll a lot’. The mobile site however is convenient and easy to use. On your tablet or phone you don’t have to scroll and click that much. Therefore, we recommend playing on the mobile site. Do you like prefer playing live games, SlotsMagic provides it. SlotsMagic has 3 live casino’s. Platinum Live Casino is definitely worth checking out. This live Casino is made by the known maker Evolution. Now we’ll start with talking about the bonuses from SlotsMagic. 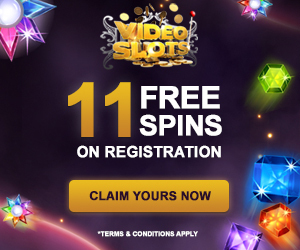 If you register at SlotsMagic casino you instantly receive 10 free Ninja Master spins. This is a no-deposit bonuses. 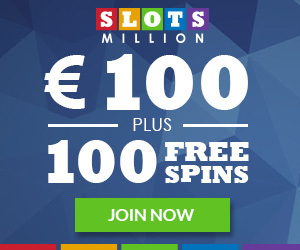 You can win a maximum of €100 with these spins. When making a deposit of €50,- or more you receive a 100% bonus and 50 free spins from the slot machine Hot Wheels. 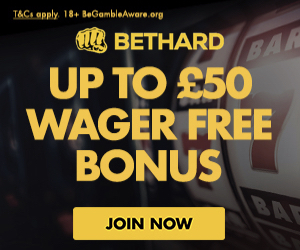 There is more, when you make your first deposit you’ll receive 10 spins every week in the 52 weeks after your deposit. These spins are from the slot machine Ninja Master. You have to use a bonus code to receive these spins, luckily we provide this code for you: Y520. The good news about this bonus is that the money you win with the spins don’t have be wagered. 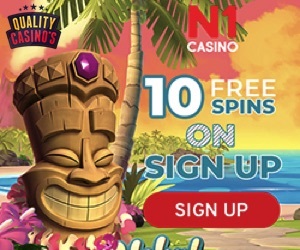 Everything you win with these spins is given as ‘free money’. There are some negatives with the welcome bonus from SlotsMagic. The 100% bonus you receive has to be wagered 25 times. 25 times isn’t that much but you have to play on the GVG machine to transform the bonus money into free cash. Another negative is that you can’t use the bonus money on all the games SlotsMagic provides. SlotsMagic doesn’t provide a clear view from which games you can and cannot play. SlotsMagic values loyal players highly. If you play a lot you’ll receive email’s with bonus offers. Every day the SlotsMagic Casino provides presents on their website, called the ‘daily pick’. Most of the time these presents consist of free spins. Overall we consider SlotsMagic as an average casino. They offer a lot of games, but they should definitely renew the website and the overall playing-experience. 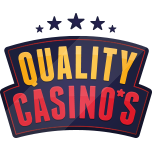 The quality-casinos test teams were pleased with the customer service from SlotsMagic Casino. They didn’t had any bad experiences. They were kind and responded quickly. We would recommend checking SlotsMagic out, and definitely make use of their bonus.